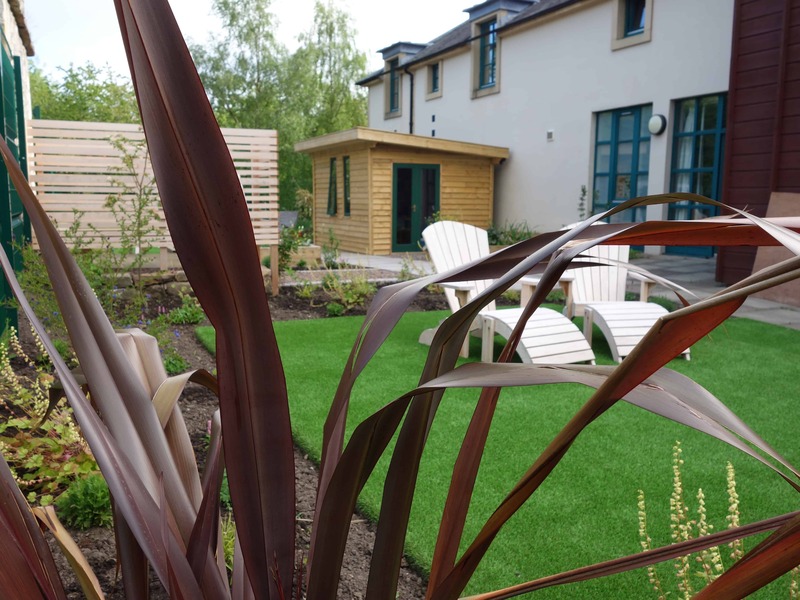 Internationally acclaimed author Ian Rankin today joined the staff and young patients of The Huntercombe Hospital Edinburgh, together with their families, to celebrate the opening of the newly landscaped hospital gardens on 3 June 2016. Des Quinn, Hospital Director, said: “At the Huntercombe Hospital we provide specialist mental health services for young people with a range of issues, but predominantly eating disorders. The garden has been designed to incorporate what our patients said they wanted. It is a beautiful place to sit with their families, or to walk and talk with other patients and staff, with areas set aside for quiet reflection and reading. Also there is a dedicated studio space for our art therapist. “I was pleased to welcome as guests Carolyn Grohmann of Secret Gardens who designed the gardens and a team from Water Gems, who created them, giving much of their time free. They have made a huge difference for our patients. In designing the gardens Carolyn took a brief from me, but then said that she was more interested to understand what the staff and patients wanted the garden to represent for them emotionally. I knew then that she was absolutely the right person for the project.